Letter: Which idea of heaven shapes the argument? 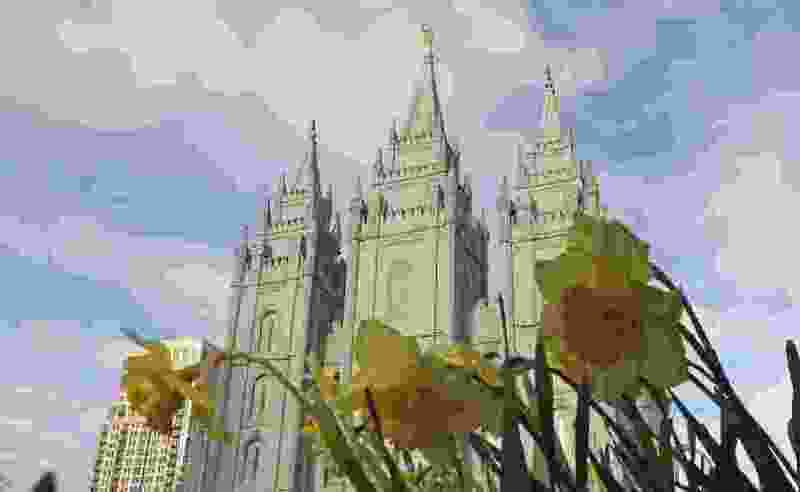 (Rick Bowmer | Associated Press file photo) The Salt Lake City temple is shown during The Church of Jesus Christ of Latter-day Saints' two-day conference Saturday, April 6, 2019, in Salt Lake City. After reading Lesley Butterfield’s April 11 commentary, I was reminded of a recent conversation I had with a gentleman from out of state. In a polite, but matter-of-fact tone, he explained his belief that my church, The Church of Jesus Christ of Latter-day Saints, which he used to be a member of, is a cult, that the teachings found within my church are not biblical, and in fact are devilish. He then proceeded to warn me that, unless I fully rejected my church’s teachings and became a born-again Christian, as he had done, I was doomed to eternal damnation. In her editorial Butterfield uses words such as “coercion” in describing the teachings of the LDS Church, including the words spoken at the church’s recent General Conference. She then proceeds to give a detailed explanation of her beliefs about heaven in which she and her children are all guaranteed to be there. While I have no doubt Butterfield believes those who have rejected the LDS Church and its teachings will all go to heaven, including the gentleman I referenced earlier, does her idea of heaven also include those who choose to remain LDS? I certainly don’t want to put words in her mouth, but given her clear attacks on the LDS Church, I suspect I already know the answer.